A RM650 Million Park Is Good, Here Are 4 Concerns That Comes With It. Headlines were made when it was announced recently that Malaysia’s capital, Kuala Lumpur, would soon be seeing the emergence of a rainforest park filled with various amenities where citizens can come to enjoy the natural surroundings right in the city centre. A notable attraction would be the inclusion of our National Monument (Tugu Negara) into the park, giving it the name ‘Taman Tugu Negara’. Previously in July, the plan to construct Taman Tugu had already been approved by the government in a public trust. 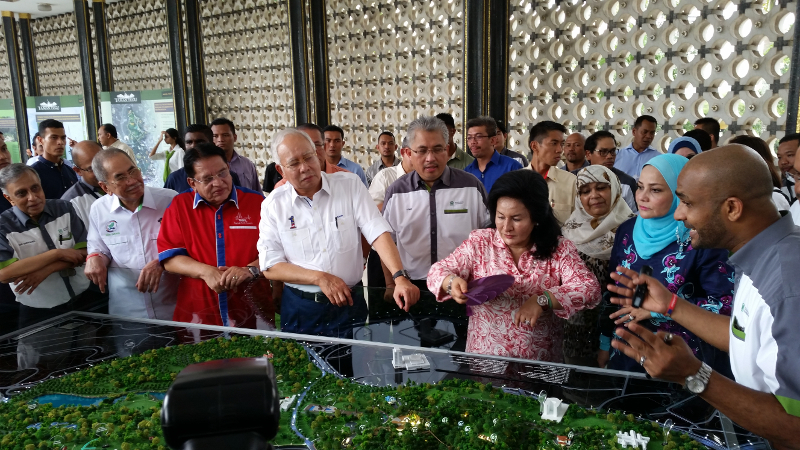 The entire project comes up to a sum of about RM650 million in order to convert the 66-acre area into an urban rainforest park. The first phase will commence mid-2018 and it will be fully completed by 2020 with new features including walkways for easy accessibility to the park, food and beverage stalls, children play areas, event spaces and educational facilities. The project is said to be led by Finance Ministry holding company Khazanah Nasional, which will foot RM500 million of the bill, along with some other stakeholders such as Kuala Lumpur City Hall, Forest Research Institute of Malaysia (FRIM), the Department of Environment, the Malaysian Nature Society, and many others. The idea of having an area celebrating nature is always a bright one, but everything is always nicer when said with the right words. Though the image may be one to spark genuine interest, the execution of turning it into reality may prove to be a little troubling. Here are a few concerns that arose from this announcement and what the government should consider when going down this route. 1. Is An Upgrade Really Necessary? Many may have the assumption that Taman Tugu Negara will be built on new undeveloped lands, which is not the case. Yes, it will be considered a new park but the base happens to be a location most locals would know. This project is actually an upgrade of Perdana Botanical Garden, or Lake Gardens, an icon most KL residents are familiar with. Therefore people are beginning to question the reason behind the high expenditure needed. Why exactly does it cost so much? Is the upgrade worthy of such a large number? Surely upgrading a structure that’s already in place should not require as much effort as building one from the ground. On another note, some have expressed their doubts on the upgrade as a whole. Regular visitors of the park show no interest in having any upgrades done on something that is fine to begin with. As the saying goes, why fix something that is not broken? The government has yet to give concrete answers as to the validation of this ‘improvement’ aside from gaining international recognition. With Only 4 Years To Go, How Far Away Is Malaysia From Achieving Vision 2020? 2) Do We Really Need To Redefine Our National Icons? “Hyde Park is synonymous with London; Central Park is synonymous with New York. So I wish that one day, Taman Tugu would be synonymous with a world class Kuala Lumpur,” said Prime Minister, Datuk Seri Najib Razak in his speech during the ceremony announcing Taman Tugu. Those exact words that carry such high expectations for what a park should be. As of now, when asking foreigners or those unfamiliar with Malaysia as a whole, the remarks of people on what they associate with Kuala Lumpur are usually the Twin Towers or the KL Tower or the food. To aim to create a new image that is supposed to embody our city carries a certain burden and it is uncertain on whether it can be upheld. To put things into perspective, Hyde Park was built in 1536 and it took countless historical events spanning over two centuries before it gained recognition as a prominent landmark in London. Central Park was built in 1857 and it was only declared a landmark in 1962. So safe to say that it probably won’t be a short ride to get Taman Tugu as one of the main landmarks of Kuala Lumpur. 3) Will Anyone Even Go There? When talking about recreational activities in parks, there are countless of things to do. 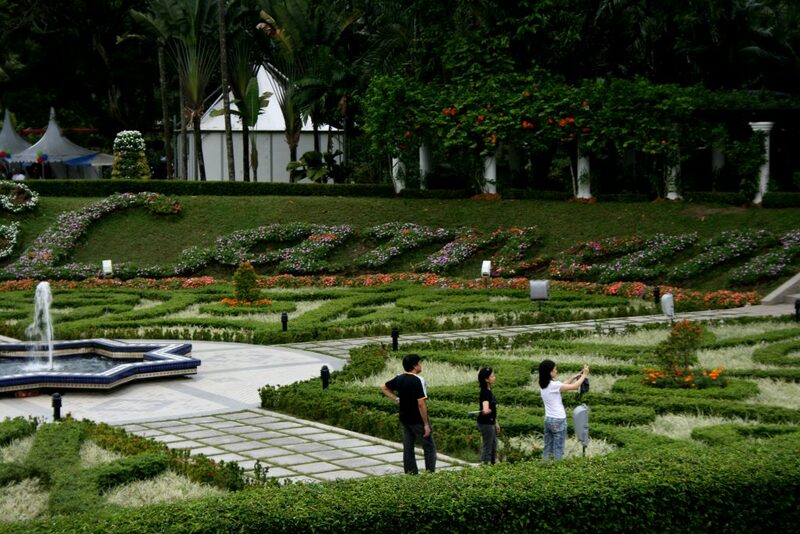 In fact, in Perdana Botanical Garden, it is even possible to have segway tours to cover the entire park and see its beautiful scenery. But just how many people would participate in these activities? Even Taman Negara, one of our prominent parks that is known to have extremely interesting activities, only registered 61,500 visitors last year, a substantial drop from 95,485 in 2014. So is there a guarantee that there will be a large number of people still visiting this newly upgraded park once it is done? Because having a beautiful landscape is one thing but the purpose would be defeated if no one is going to go see it. Of course, the new park does boast of a more central and convenient location compared to Taman Negara, so it does have that going for it. 4) Is This The Right Step Forward For Social Development? One of the statements Datuk Seri Najib mentioned in his speech was also how that one of the features of a global city is social development. So this park is a step towards setting up recreational facilities and green lungs for the betterment of our community. But does this seem like the response our community should be giving for something that is said to be for social development? Many are arguing that social development can happen in many other forms so it is mind-boggling that the government is choosing to spend funds on this rather than more pressing matters. The amount of comments left discussing on the necessity on this as a social development tool shows that many argue how the necessity of this park is not vital enough. The idea itself is brilliant—in my opinion as an advocate for nature, I do believe that this will be a great step in improving Malaysia’s tourism scene as well as the right step forward when it comes to dealing with the nature conservation issue. But the government will need to consider these factors before they rush into implementing something they might regret.